One of my cousins usually says that he lives in little Switzerland. Don't think alot he lives in Pakistan and I will tell you why he says that.? He lives in a village in northern areas of Pakistan. And for those who don't know a lot about these areas this article is a gift . Approximately two hundred kilometres from the capital city of Pakistan we have a paradise looking mountains area of Swat. It starts when we cross Malakand area and ends up after the famous valley of Kaalaam. But the beauty doesn't ends there because Pakistan is gifted with a long list of naturally beautiful places. Only In Swat we have alot of famously known picnic spots as Fiza Ghat Park on the bank of river Swat, The beautiful Malam Jabba and the internationally known Kaalaam valley. 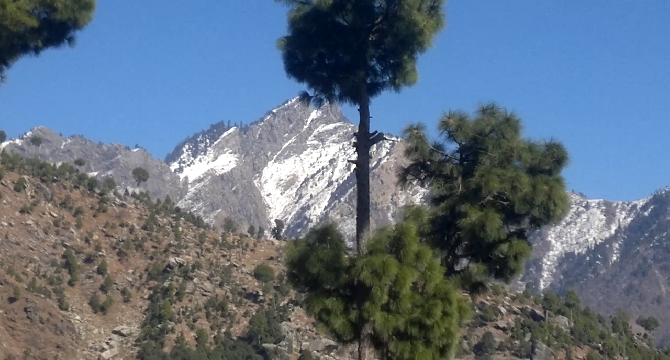 You can enjoy a pleasent weather even in summers there and can see a lot of greenery and also can even enjoy snow fall. It's not the end to the beautiful places of Pakistan I can write hundreds of articles to talk on them . I will try to share with you in next articles if possible. So if this Eid you are planning a picnic trip you can visit Swat and surely you will enjoy. Will enjoy not only the sceneries but also the hospitality of the people of Swat. Akhtar, you are right. Beauty of Swat valley is matchless. Is it save to visit Swat valley nowadays?